When it comes to giving your bathrooms a luxurious look, a bathtub can always bring about a difference if not the rest of the accessories. Due to its size and the way it occupies a major floor area of the bathroom, an elegant bathtub is something that is known to grab all the attention. This is where we come to the picture by helping you with a wide range of freestanding and back to wall freestanding baths in Perth. The bathtubs that we display are known to be made with acrylic with a stainless steel body that allows better longevity and a sturdy nature. With a glossy finish and the stand-alone features, these are known to make your bathrooms look spacious as well as luxurious. 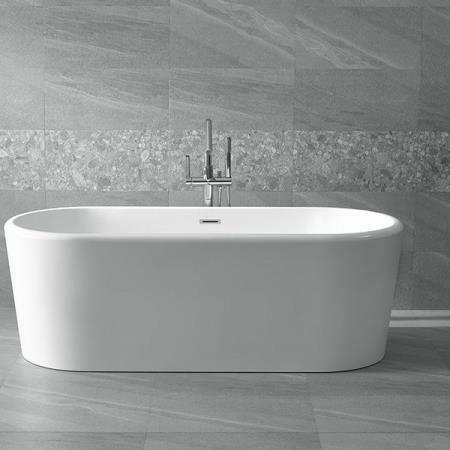 With a wide variety to choose from back to wall baths, claw foot baths, cheap stand alone bathtub tubs in Perth, we are also known to help you with tubs of various sizes that you can choose depending on the floor area of the bathroom and how it would complement the look. While we offer you affordable and cheap baths in Perth, here is a quick preview of the products that we put up for you. Get in touch with us a watch your bathroom transform at the cheapest price.